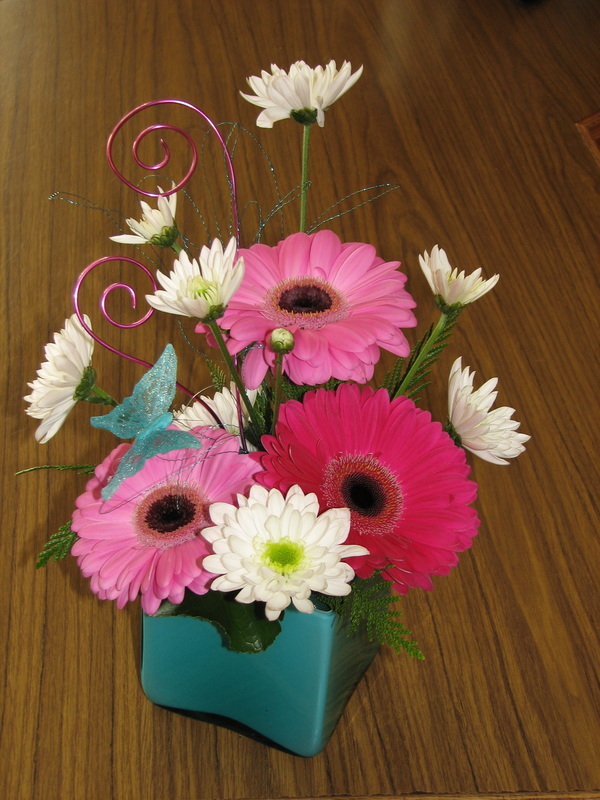 Gerbera daisies and daisies in a coloured glass square with whimsical accents of wire and butterflies. A stylish purse container filled with roses, daisies, statice and pittisporum leaves accented with fashionable wire accents and a colourful feather butterfly. Colour and style of purse may vary, other flower colours available.